Bryan K. Smith, a native of Corinth, Mississippi, joined the firm as a member in 2001. Mr. Smith concentrates his practice in the areas of commercial and residential real estate, real estate development and finance, secured transactions, and opinion letters. 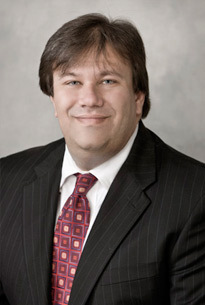 Prior to joining Pietrangelo Smith's predecessor firm, Mr. Smith practiced law with firms in Jackson, Mississippi, and Memphis, until 1997, when he became Vice President, General Counsel and International Account Manager of National Commerce Bank Services, Inc., the consulting affiliate of Memphis-based National Commerce Bancorporation. There, Mr. Smith administered the legal affairs of the company, providing consulting and construction services across the United States and internationally. Mr. Smith also managed the firm's consulting projects and marketing activities outside of the United States, primarily in Latin America and Europe. He has worked extensively with banks and retailers throughout the Americas and Europe in the delivery of financial services to mass markets and migrating customers to alternative delivery channels. Mr. Smith earned a Bachelor of Accountancy in 1988 and a Juris Doctor in 1990, both from the University of Mississippi, and is licensed to practice law in Mississippi and Tennessee. He is a licensed title insurance producer in Mississippi and Tennessee and is a title agent for Chicago Title Insurance Company. Mr. Smith has been listed in Mid-South Super Lawyers since 2011 and The Best Lawyers in America in Real Estate Law, 2013 edition. He has spoken at seminars on small business finance, government-guaranteed lending, usury, opinion letter practice and the Uniform Commercial Code. He has also lead workshops on the development of retail delivery strategies for banks, and American companies doing business in Latin America. Mr. Smith is an adjunct professor at the University of Memphis School of Law, a member of the Board of Trustees and the treasurer of the National Ornamental Metal Museum Foundation, and has served on the Faculty Enrichment Grant Committee of the Memphis College of Art. He is an avid photographer and is active in sled-dog rescue and shooting sports.